Heartmade Art Market is a carefully curated show, and artists are admitted through an application process. Heartmade artists are among the best ambassadors of the Texas art community, and we always want to make sure they are able to find success. We designed this market to ensure that both the artists and the charity would come out on top. Booth fees go directly to the charity, leaving the artists free to make their sales knowing the “heartwork” is already taken care of. 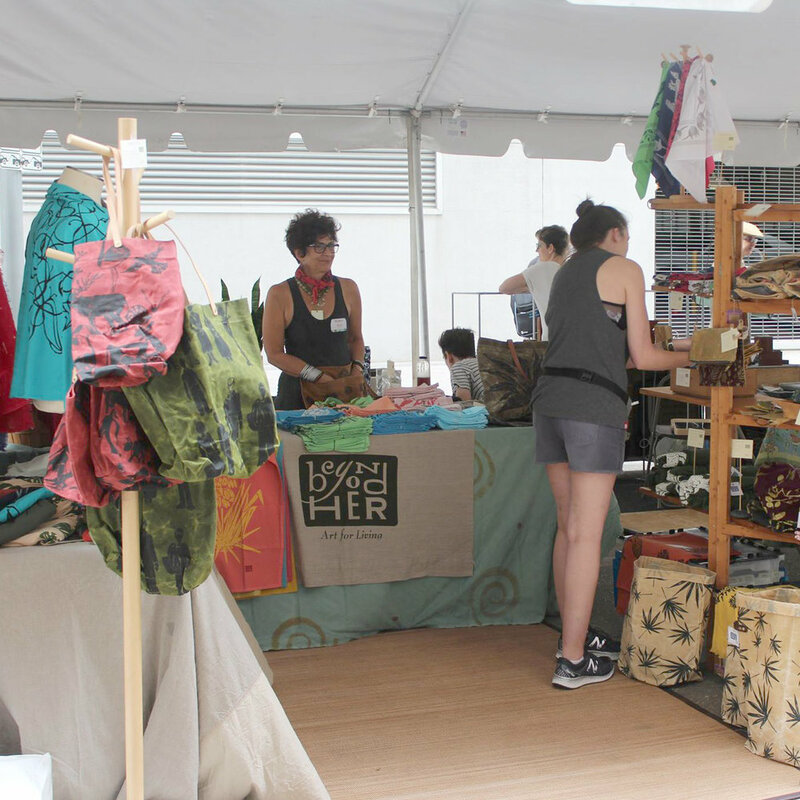 We partner with Houston's Downtown District and they provide our artists with 10'x10' booth space, tent coverage, free parking for one car, an 8 ft table, two chairs, and more. It's fantastic! Our Spring 2019 market we will be donating 100% of booth fees to the Houston charity Artists for Artists, a 501(c)3 nonprofit organization that provides Emergency Recovery Grants designed to assist eligible artists experiencing career-threatening emergencies. Grants can be used by eligible artists to re-establish, improve, or expand work capacity after a wide range of financial, medical or personal emergencies. We’re going through the jury process and will be announcing our fantastic line up of texas artists AS soon AS POSSIBLE. Keep an eye on our social media for more informatioN. WE HOPE YOU’LL JOIN US DOWNTOWN ON MAY 4! What do people think of Heartmade? 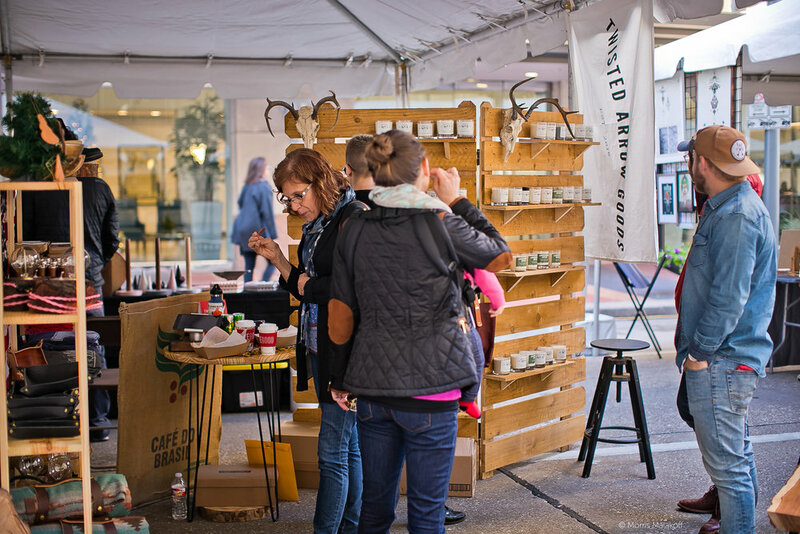 We pride ourselves on not only providing a great market experience for the city of Houston, but for each and every one of our artists and makers. "It is such a cool atmosphere. Downtown Houston is the perfect location for people of all walks of life to come together and celebrate art and craft. The vendor fee always goes to support a wonderful and deserving charity. I love that it is not only a way for artists to offer their work, but also a way to give back to the city." "I really enjoyed participating in the last Heartmade market. It was great to be surrounded by equally fervent artists/craftspeople with a strong belief in what they created. 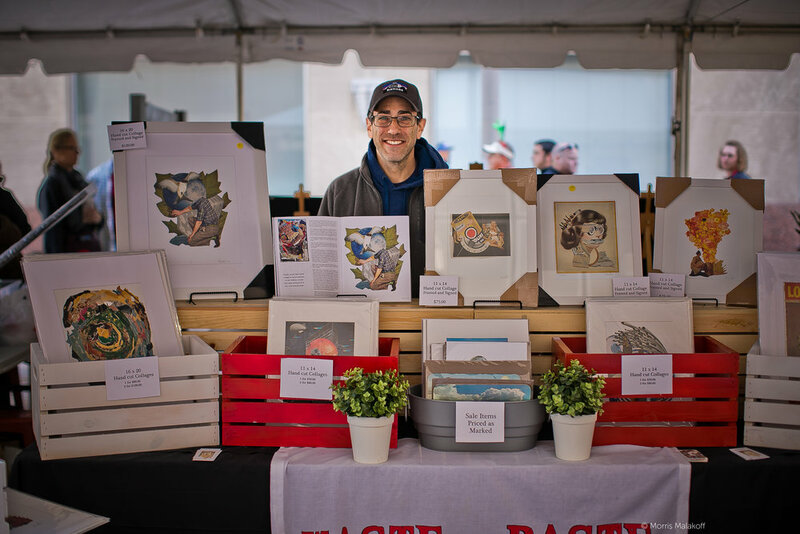 As a typically shy person, the buzz of all the people vending and the passersby stopping in and showing an interest in my art helped bring me out of my shell. It was a great experience bolstered by two magnificent organizers!" PLEASE SUBSCRIBE TO OUR NEWSLETTER FOR INFO ABOUT WHEN APPLICATIONS OPEN FOR OUR NEXT SHOW! Sign up with your email address to receive news and updates from Heartmade Houston! Thank you! We look forward to seeing you at our next market! Please share your website if you're a artist/vendor interested in participating in Heartmade. I have a general question. I am an Artist/Maker interested in participating. I would like to bring Heartmade Art Market to my town. I would like to be a sponsor of Heartmade Art Market. I would like to be a volunteer at the next market.